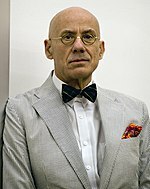 James Ellroy (born March 4, 1948) is an American crime writer and essayist. Ellroy has become known for a so-called “telegraphic” prose style of his most recent work, wherein he frequently omits connecting words and uses only short, staccato sentences and, in particular the novels The Black Dahlia , The Big Nowhere, L.A. Confidential , White Jazz, American Tabloid, The Cold Six Thousand, and Blood’s a Rover. 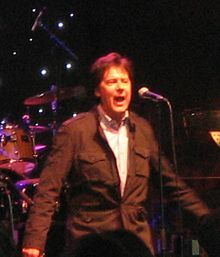 Shakin’ Stevens, also known as “Shaky” (born Michael Barratt, 4 March 1948) is a platinum selling Welsh rock and roll singer and songwriter. This entry was posted in Literature, Music and tagged 1948, novelist, singer, writer. Bookmark the permalink.